Matthewman said he was particularly concerned that when Secret Service agents questioned Zhang on March 30 at Mar-a-Lago shortly after she gained admission, the defendant said she was carrying four cell phones, a laptop and an external hard drive because she feared they would be stolen if she left them in her hotel room. But during a search of her room later, agents found more electronics gear — including a device to detect hidden cameras — $8,000 in cash and numerous credit and debit cards, all of it unsecured. Because of that, Matthewman said, he feared that if he allowed Zhang to be released, she would flee back to China. The U.S. and China do not have an extradition treaty. Zhang is not charged with espionage, but prosecutor Rolando Garcia said the investigation remains active. Even if Matthewman had decided to grant bail, immigration officials would most likely have detained Zhang because her U.S. visa has been revoked. Zhang showed no reaction throughout the hearing except for once saying she didn’t understand when Garcia said she was at times “within an arm’s length” of Mar-a-Lago computers. Militello said Zhang had come to Mar-a-Lago believing there would be a dinner that evening for a United Nations group, part of a $20,000 travel package she had purchased from a man named “Charles” she only knew through social media. Militello pointed to a receipt Zhang received from Charles Lee, a Chinese national who promotes such events at Mar-a-Lago, and a flier she had promoting it. She requested Zhang be released on $250,000 bail secured by her father and said she would wear a monitoring device to ensure she didn’t leave the area. 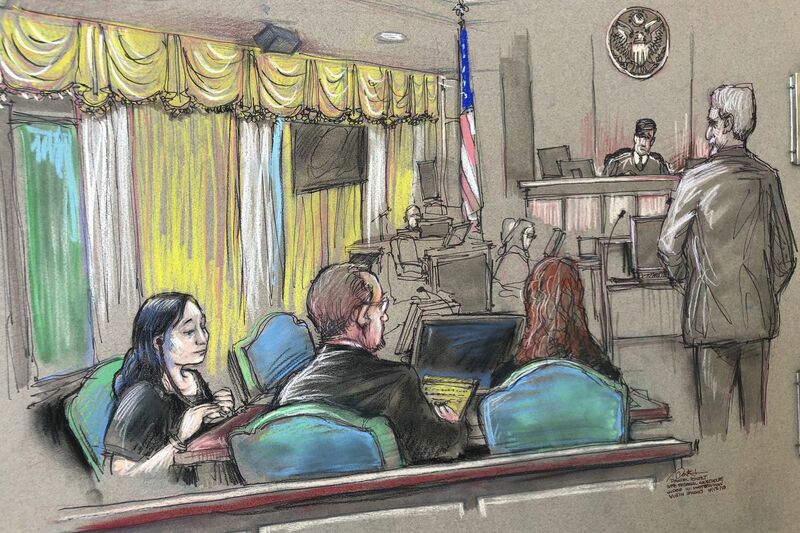 “It is a sad fact of this case that if a Mandarin interpreter was provided at that first contact with the Secret Service, we very well may not be here,” Militello told Matthewman. She said Zhang cooperated with agents, followed their directions, allowed her belongings to be searched, and sat through nine hours of questioning.